A sweet cookie crust gives the Best Lemon Bars the perfect balance of sweet and sour. Preheat the oven to 350 degrees. Line an 8x8 pan with foil and spray with nonstick spray. Mix the flour, powdered sugar, and butter together until a soft dough forms. 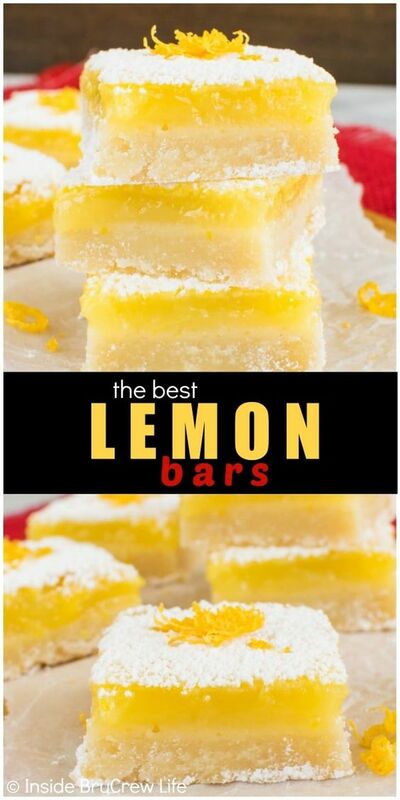 Visit The Best Lemon Bars @ insidebrucrewlife.com for full instructions.